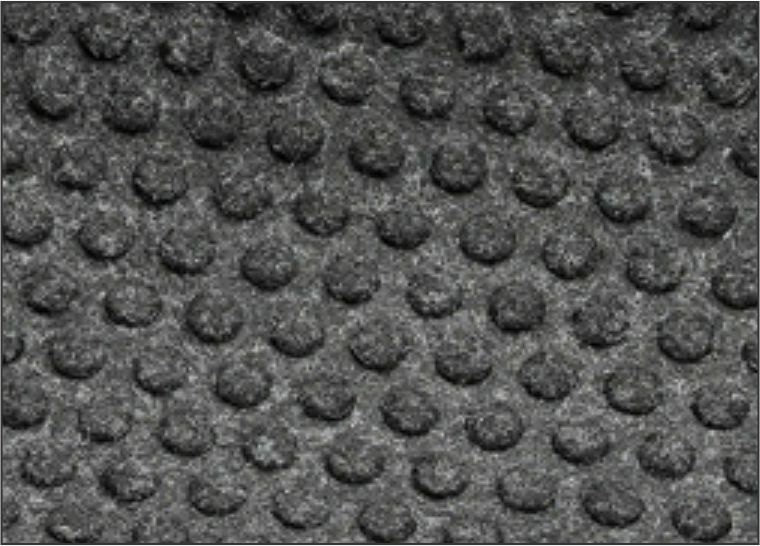 Unique disk pattern on back of mat keeps it in place on hard floor surfaces. 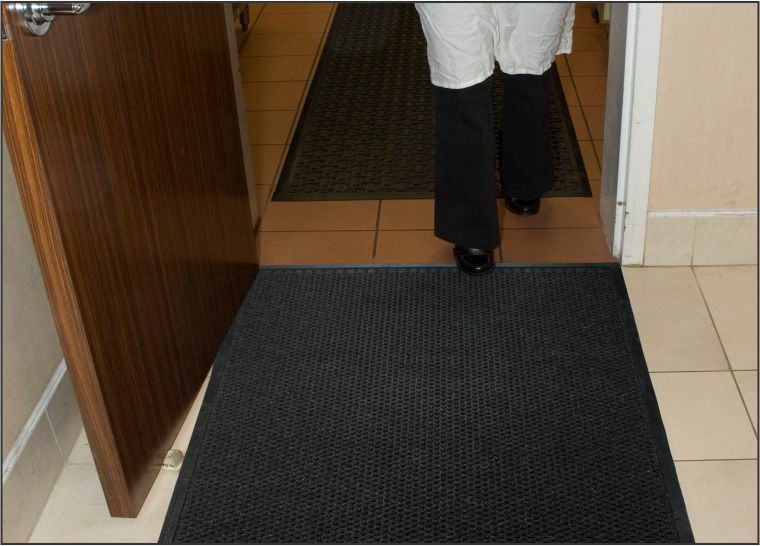 Available with cleated backing for carpeted surfaces. 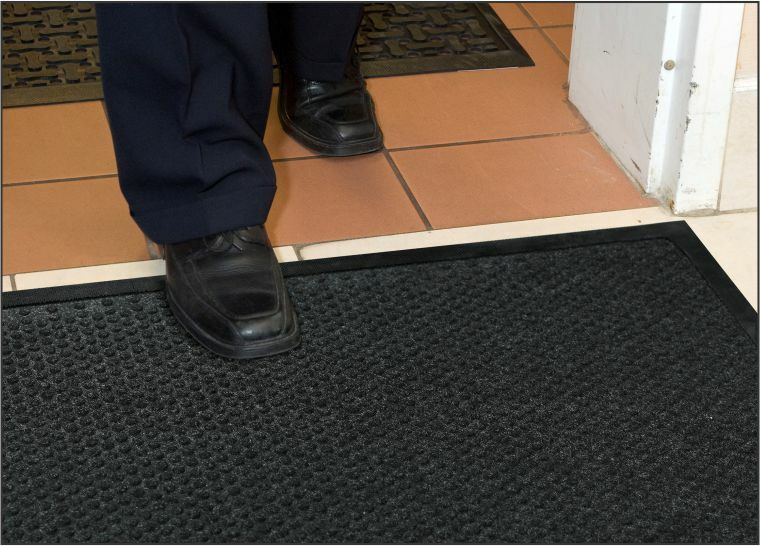 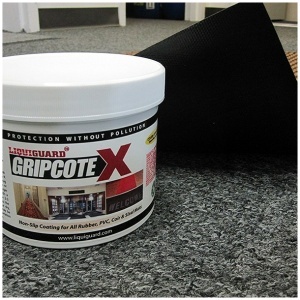 Wiper-Scraper mat for kitchens to prevent grease from being tracked into dining rooms.